Katarzyna Dudek graduated from the Faculty of Law, Administration and Economy at the University of Wroclaw. Her master thesis in the field of Criminology, written under the guidance of Professor Zygfryd Siwik received an award in the competition for the best thesis in 2008. Since 2010 Katarzyna Dudek is a member of the Bar Association in Wroclaw. In 2013, she accomplished bar training and passed state examination. She gained her professional experience during work in law and financial firms in Wroclaw, as well as abroad – on a position of Assistant Legal and Risk at Visa Europe in London, where she took part as a speaker in a series of trainings for law enforcement personnel in the subject of fraud in the European financial system. She also completed an internship at Wood Green Crown Court Crown Court in London and SOCA (Serious Organized Crime Agency). legal services for medical sector. Katarzyna Dudek is fluent in English. She is a graduate of English Translation Postgraduate Studies at the Faculty of English Philology at the University of Wroclaw and translation of legal texts is her real passion. “Recovering the poisoned fruits of crime. Forfeiture” – paper presented during the national conference, Wroclaw 25-27April 2006. 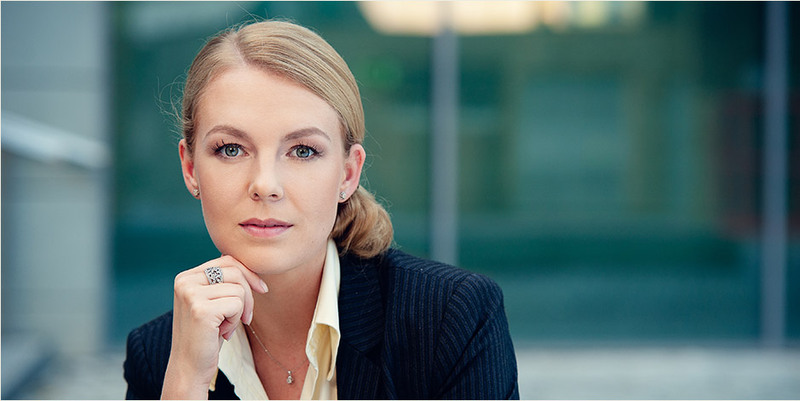 Since 2014 Katarzyna Dudek is a Member of Women Committee at the Supreme Bar Council. Her work is guided by the rules of full commitment, professionalism and deep analysis of the problem.